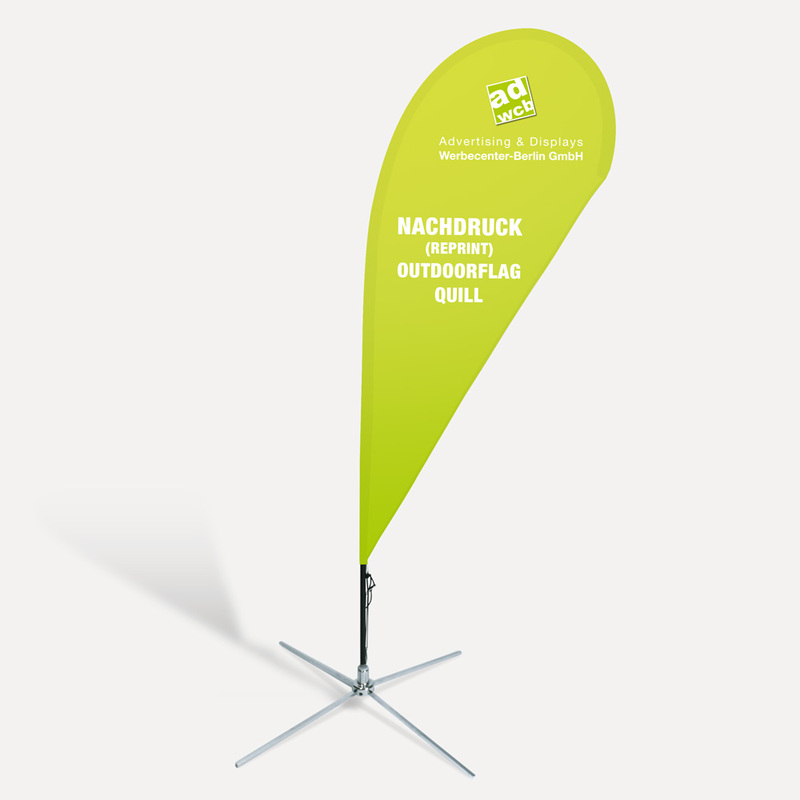 1x Reprint for Outdoor-Flag "Quill"
This reprint is for our outdoorflag "Quill". It has a drop shaped print and will be printed with your files. The printing fabric is "Flag Tex" 110g/m², 100% polyester, B1. It will be delivered completely assembled and is ready for use. The changing of the motif is tool free possible. Please choose your existing size in the dropdown above. With hemstitch as described in our PDF template.